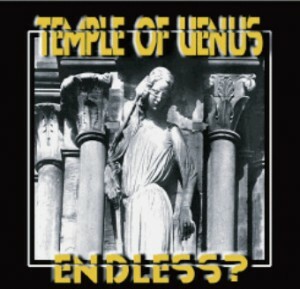 Have you heard about the Italian new wave band called Temple of Venus? About a year ago I reviewed their album Messiah Complex, an impressive masterpiece, which became from then on a constant in my playlist. Some days ago I got a message from the band that Temple of Venus just released a live album. Freshly out of the post box I am listening now to the record. Usually, I am not a big friend of live albums. I appreciate The Who‘s Live at Leeds and Emerson, Lake & Palmer‘s Pictures at an Exhibition. 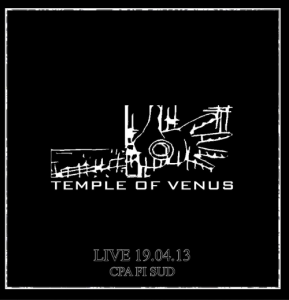 Well, I guess, Temple of Venus‘ Live 19.04.13 CPA FIRENZE-SUD will be the third on this list, then. 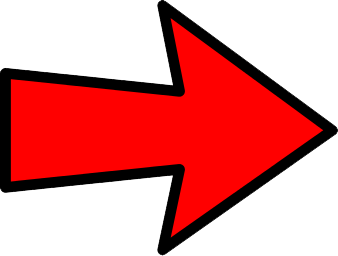 To repeat myself at this point, Temple of Venus added to my hypothesis that new wave from Italy does not fail, just think of e.g. The Frozen Autumn, Christine Plays Viola or Schonwald. Temple of Venus promise to play “new-wave straight from the 80’s”, but still manage to not get stuck in pathological nostalgia. Temple of Venus have been around for quite a while now. The band around Piero Lonardo (vocal, bass, keyboards, sequencers) and Federico Vanzini (guitars) gradually took off from 1997, but their name remained within the Italian underground. 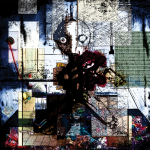 After the release of Messiah Complex in 2011 everything would change. The album got well-accepted throughout the European new wave scenes and was critically acclaimed by the music press. 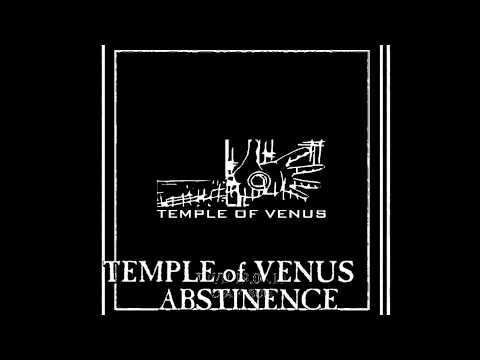 After I listened to Temple of Venus‘ live cd, I wish I could see them on stage one day. The sound is clear and dynamic, and, in Piero Lonardo’s own words “it’s a very powerful live recording, maybe too powerful for an electronic combo.” Also respect to producer Valerio Lovecchio from Swiss Dark Nights, who is issuing the best Italian darkwave and post-punk bands with bootlegs and studio recordings. You can get the live album either via Swiss Dark Nights or at concerts by Temple of Venus. Since 2011 André Savetier is actively working as a music journalist with an expertise on contemporary new wave music phenomena. His scientific specialization is anthropology of music and anthropology of popular culture. Savetier remains intrigued by the interplay between the aforementioned social phenomena, the told (and untold) legends of music and its roots.